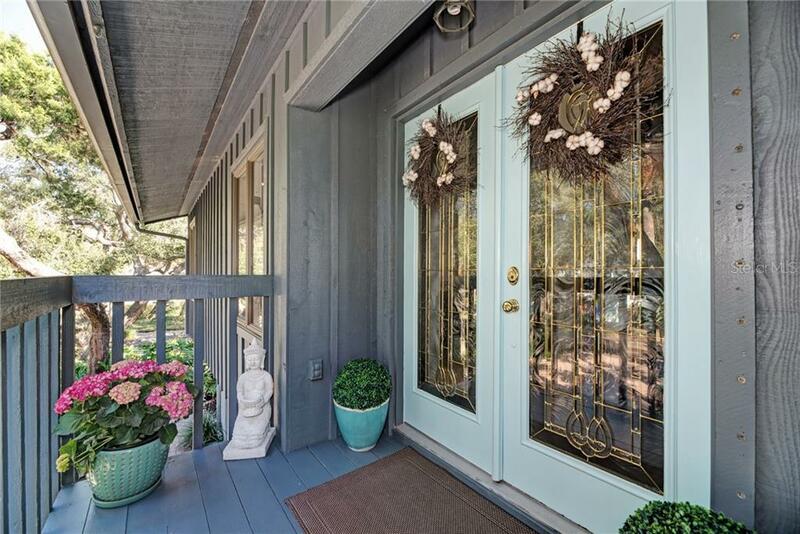 Ask a question about 5821 Riegels Harbor Rd, or schedule a tour. 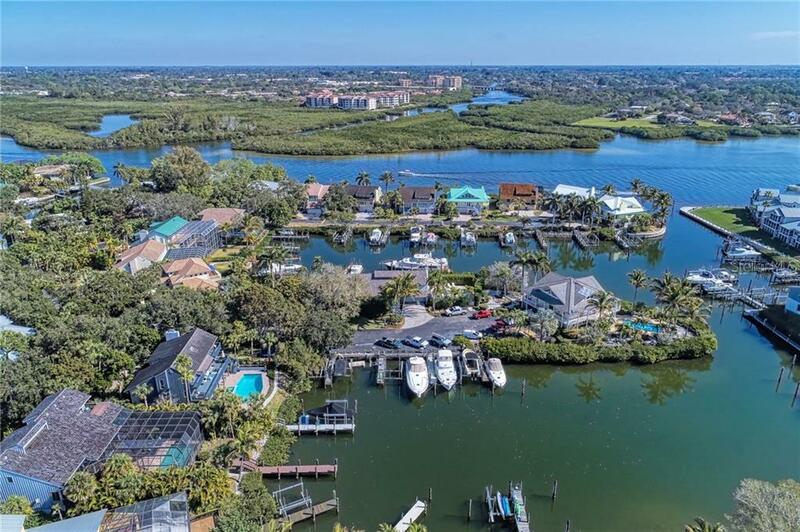 Enjoy the island lifestyle with the best of both worlds boating and the beach. 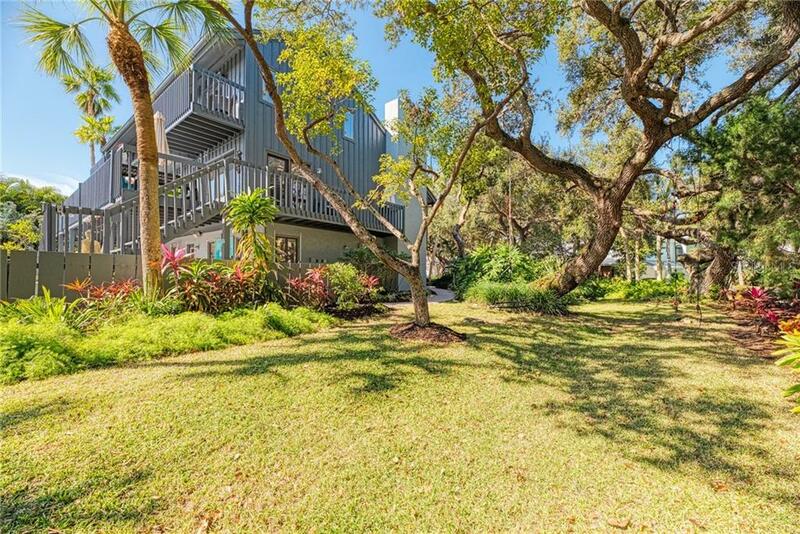 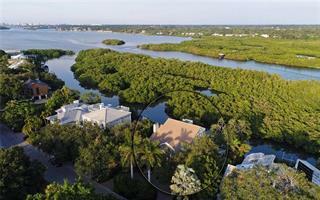 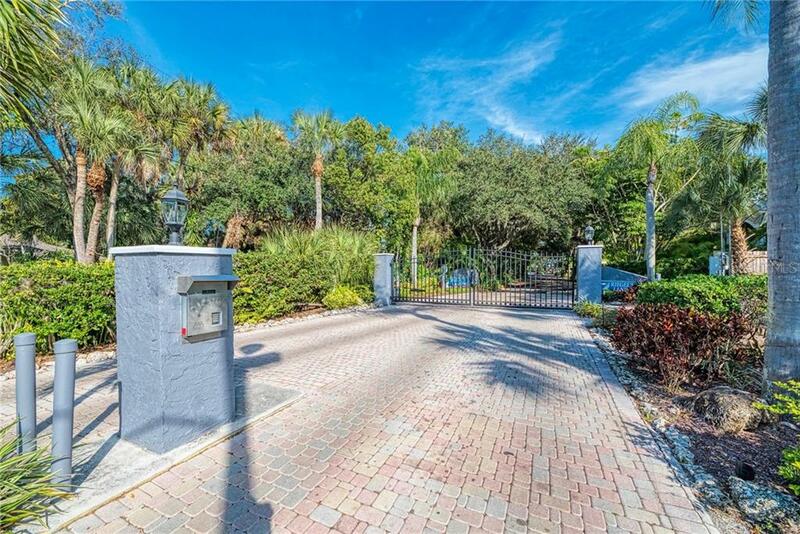 A lush, tropical landscaped corner lot with harbor views in Riegels Landings. 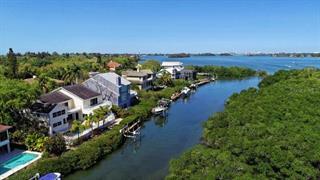 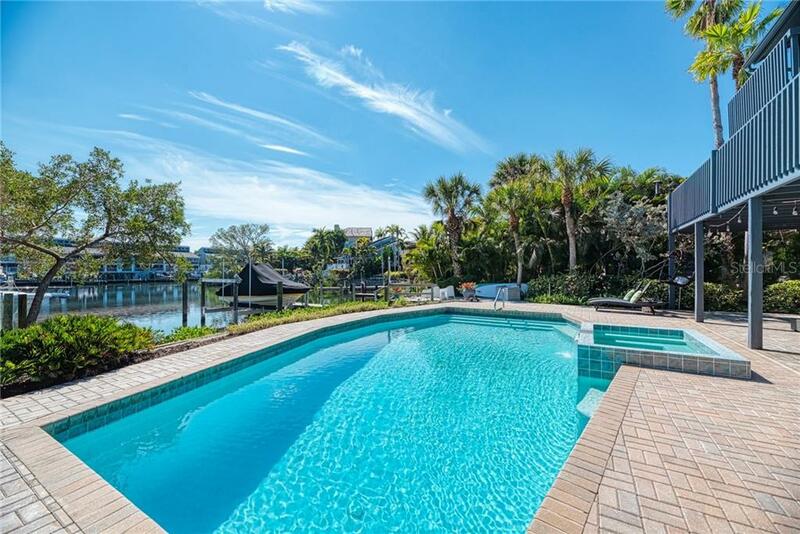 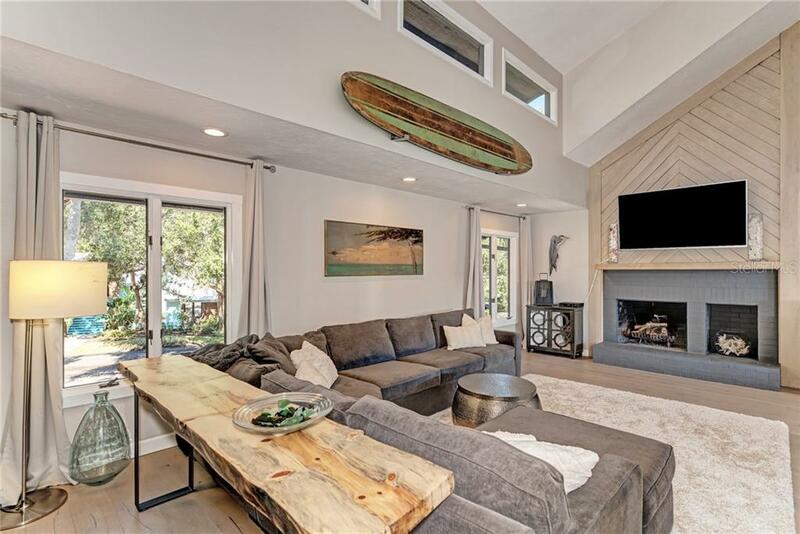 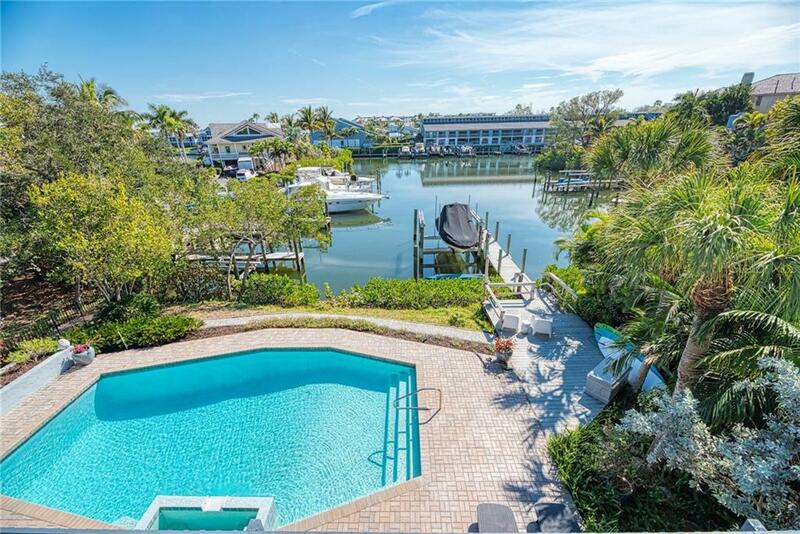 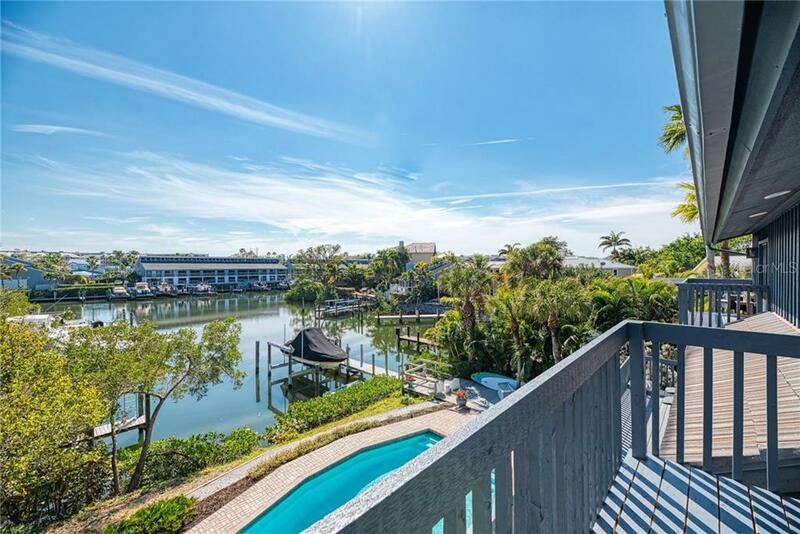 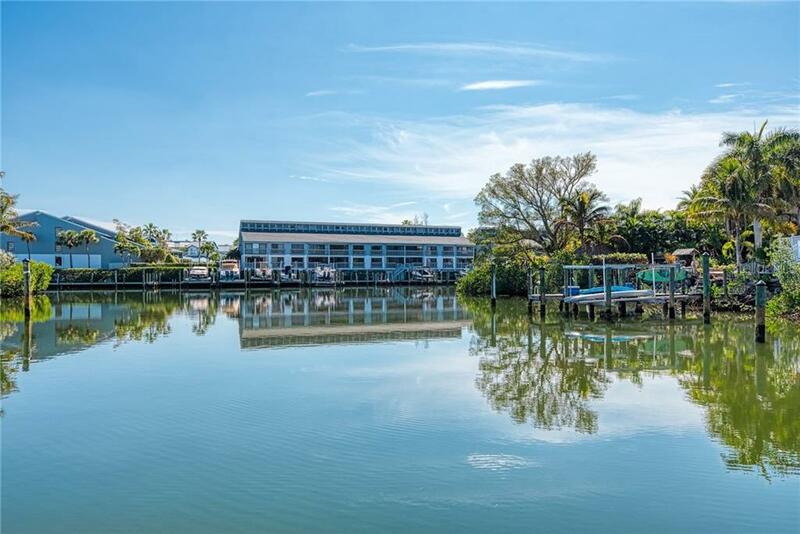 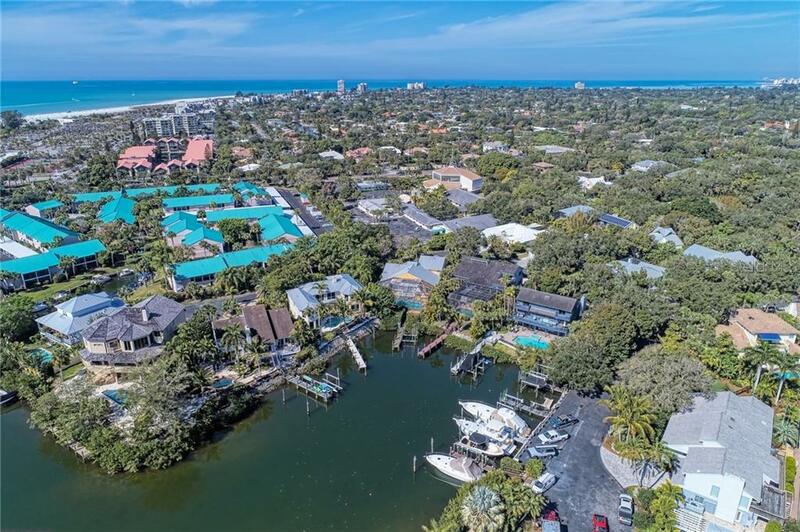 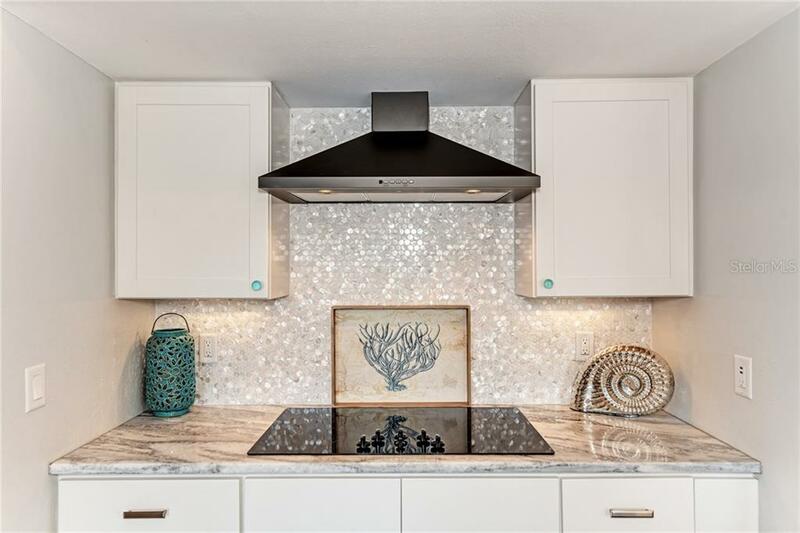 This gated yachting community on Siesta Key is one of the most popular because... more. 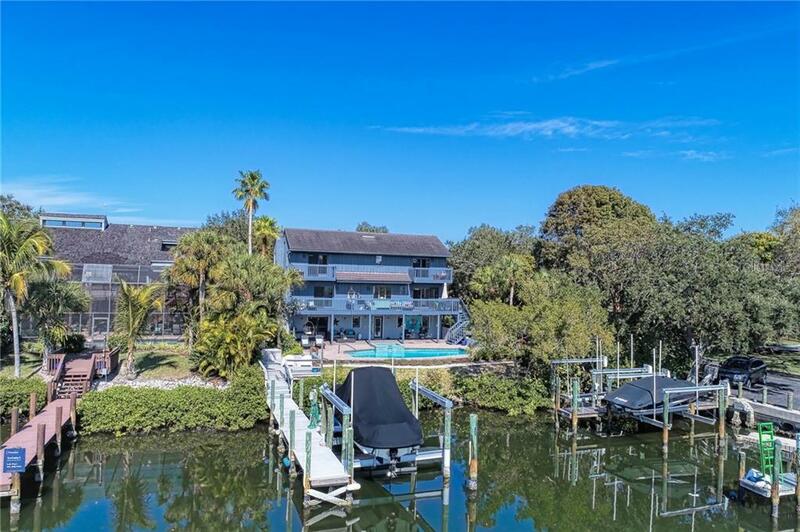 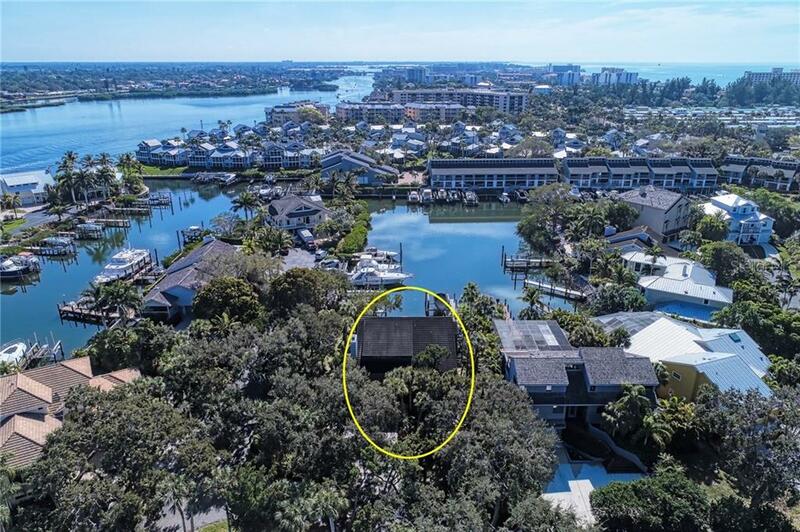 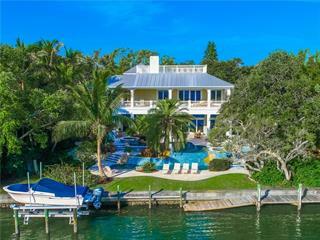 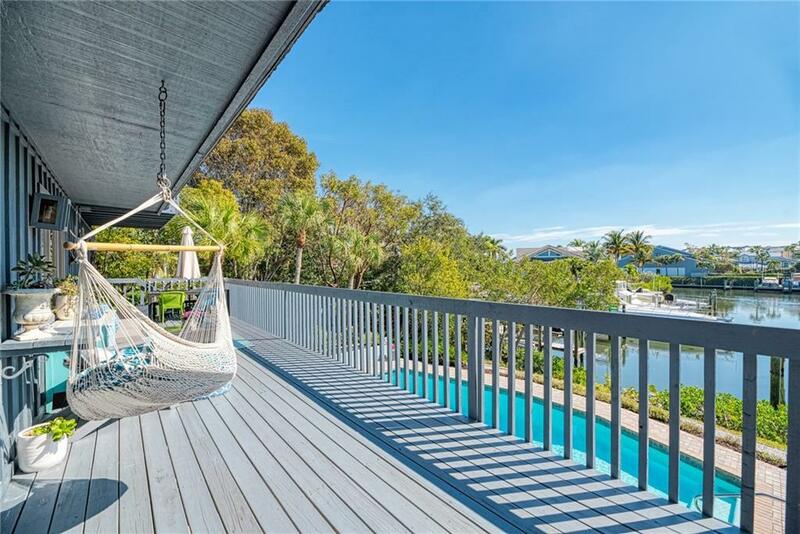 of its protected, deep sailboat water dockage (6' at low tide) and direct access to the Intracoastal Waterway. 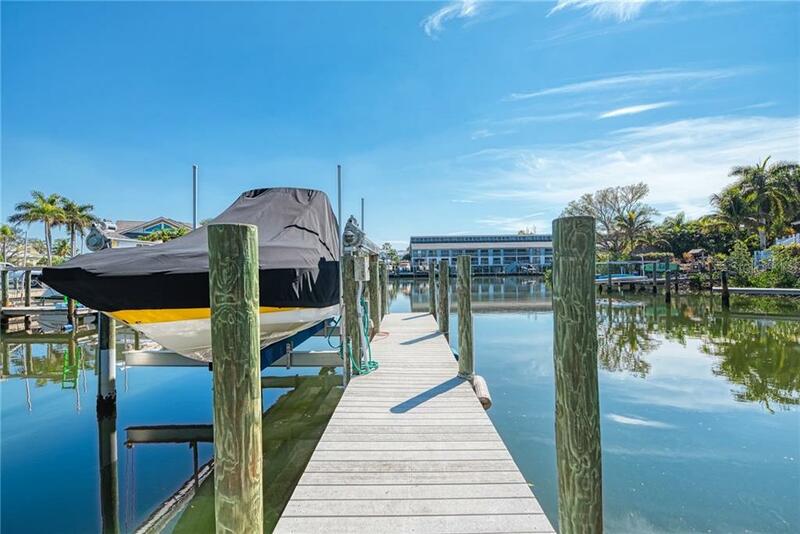 Private dock for (2) 50' boats, 1 with new 16,000# lift. 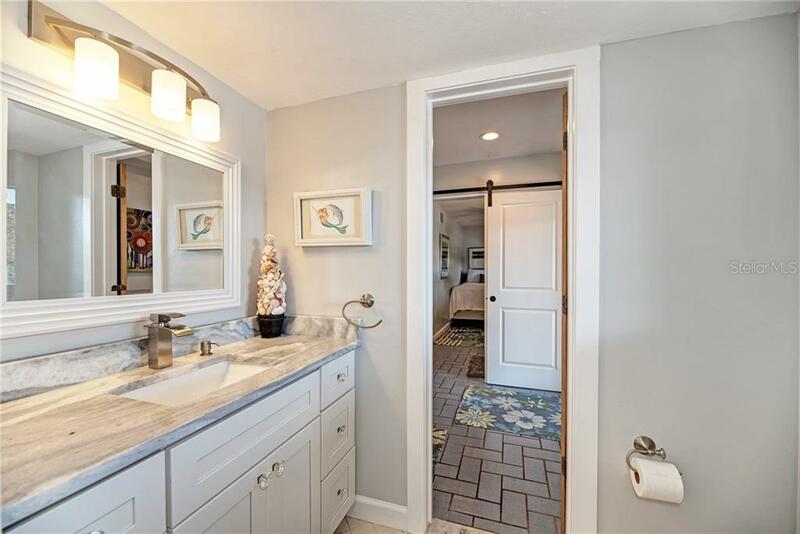 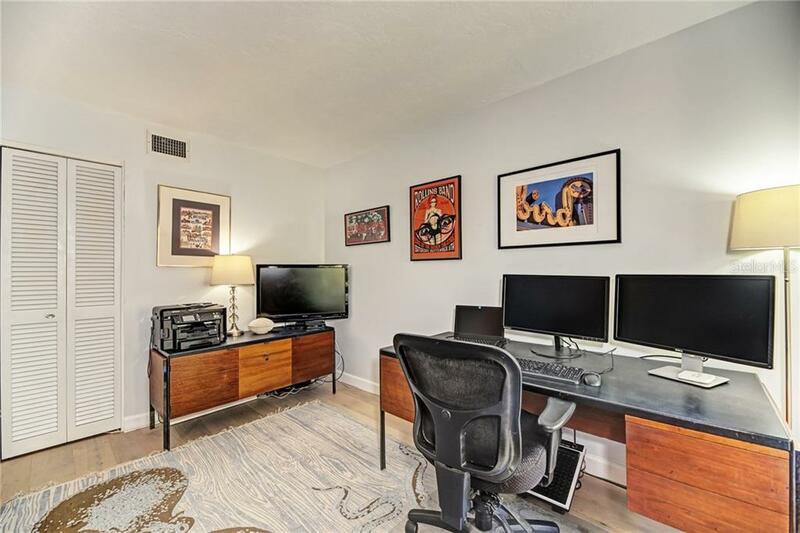 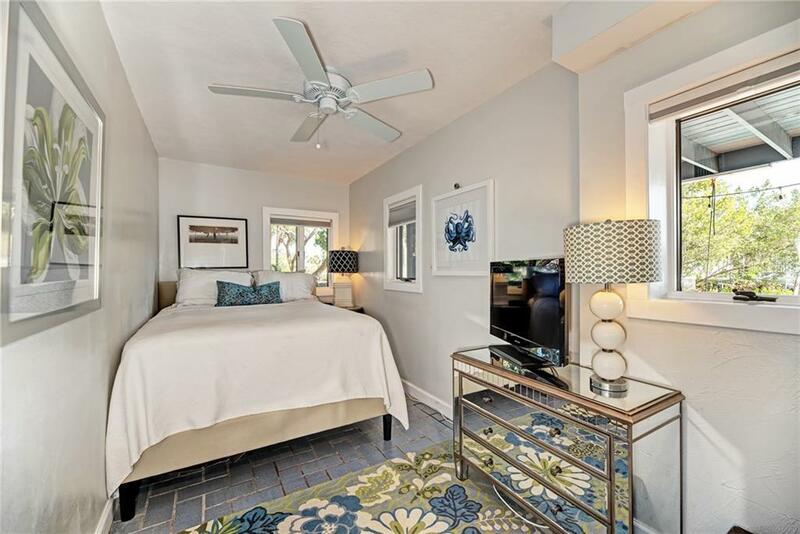 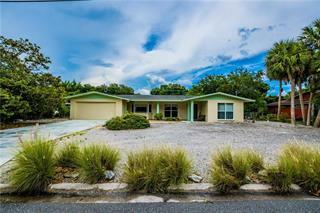 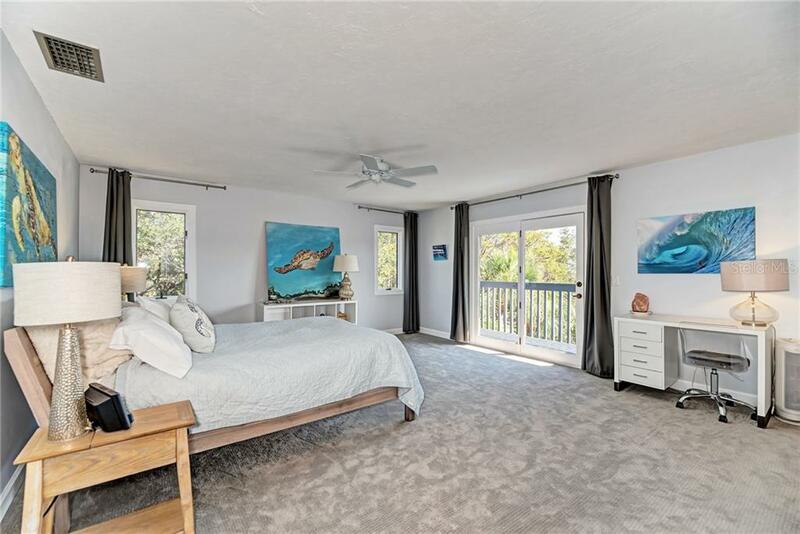 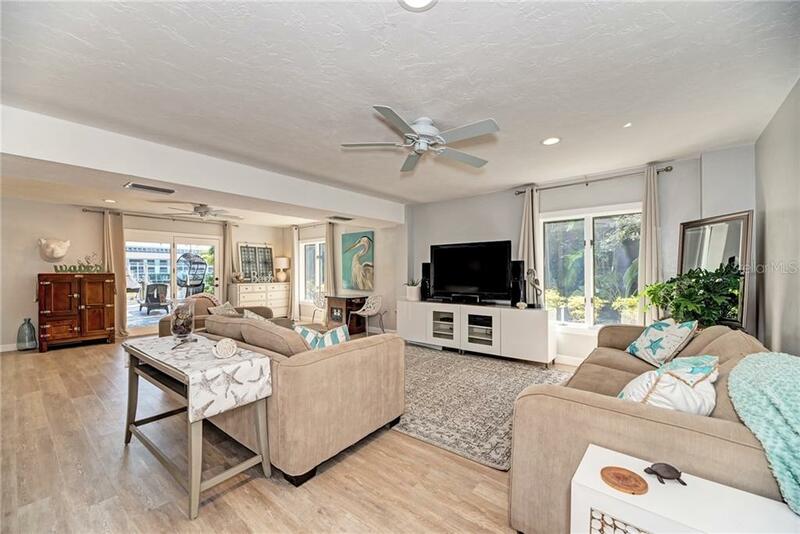 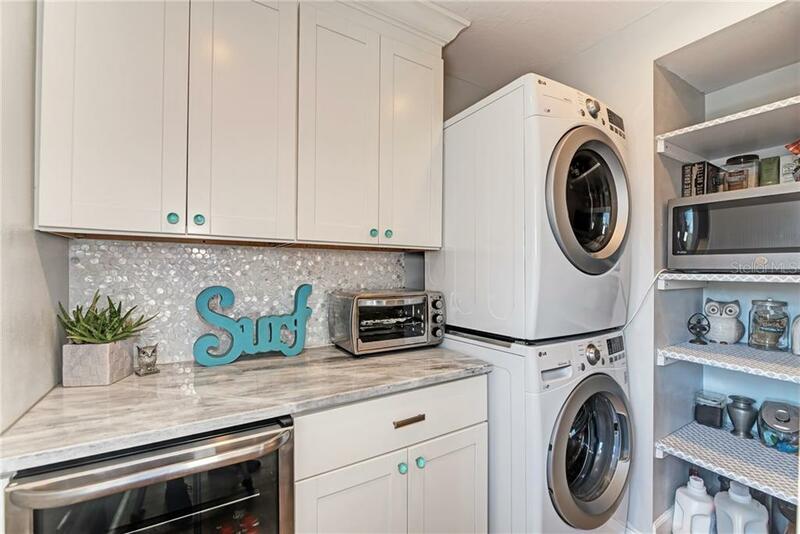 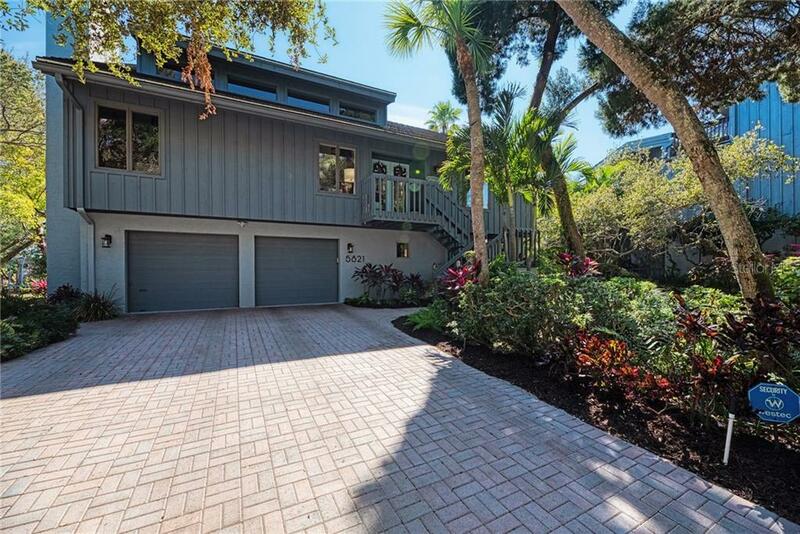 Walking distance to world famous Siesta Key Beach. 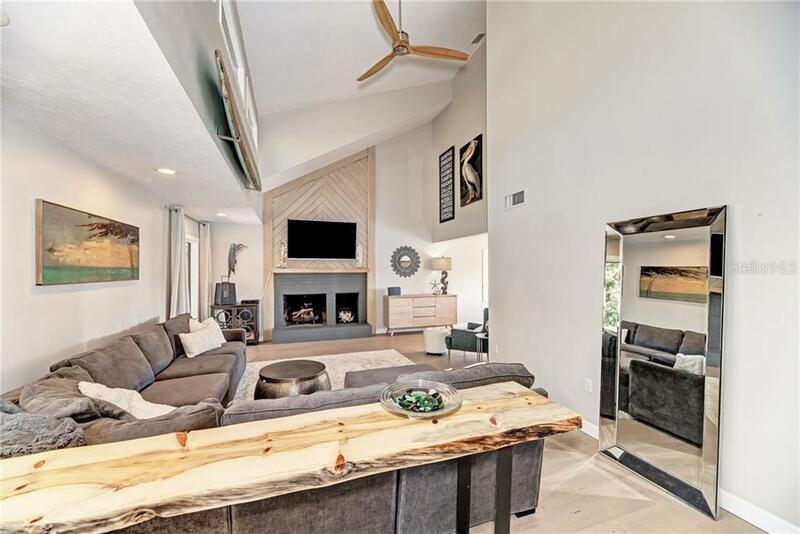 A perfect home for entertaining extended family and guests. 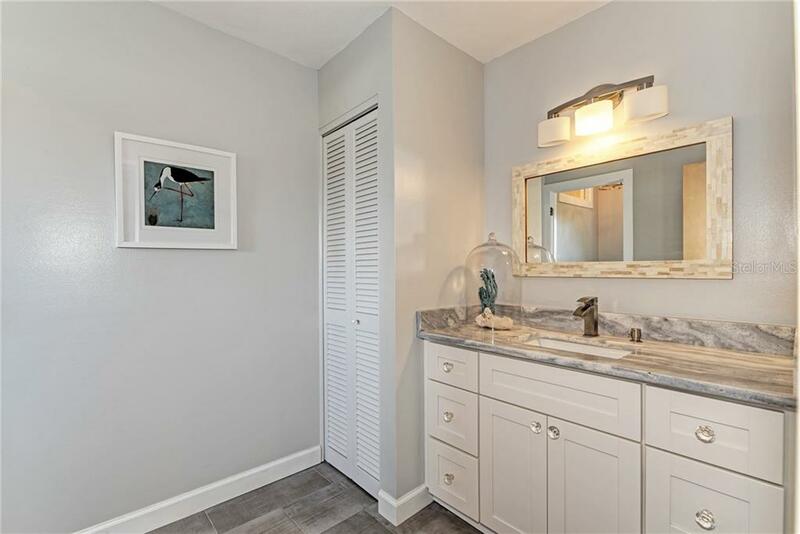 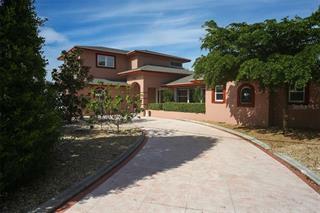 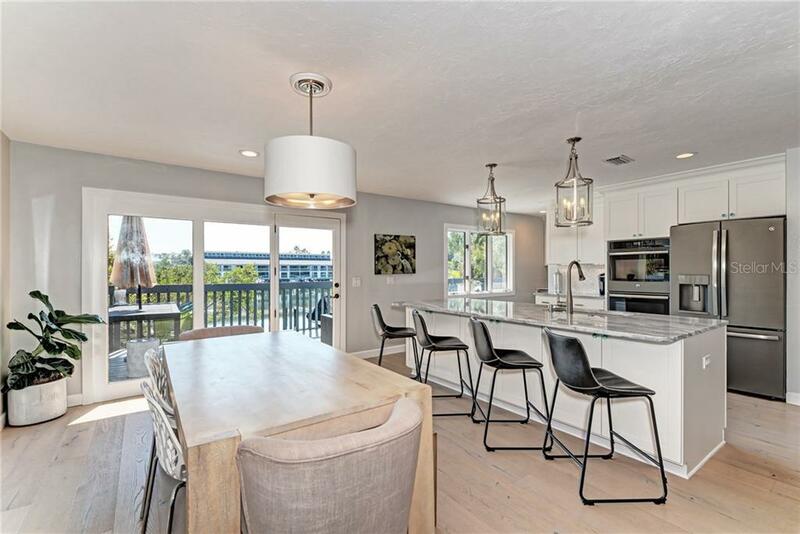 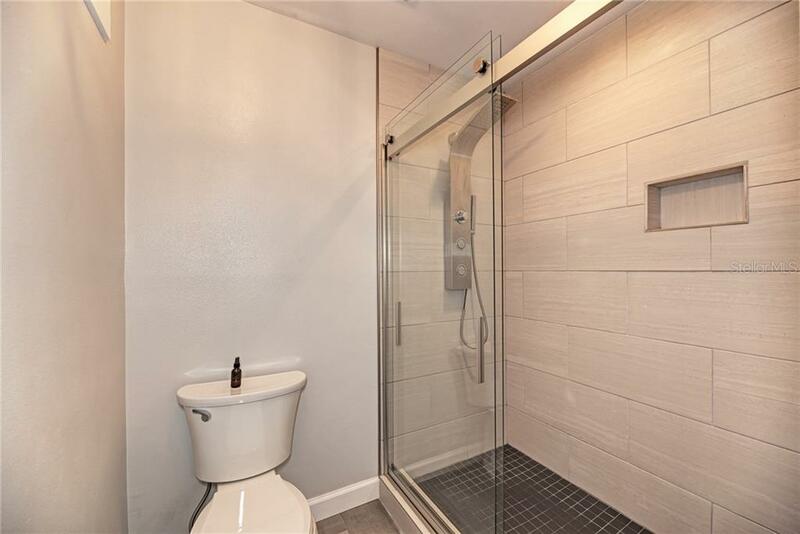 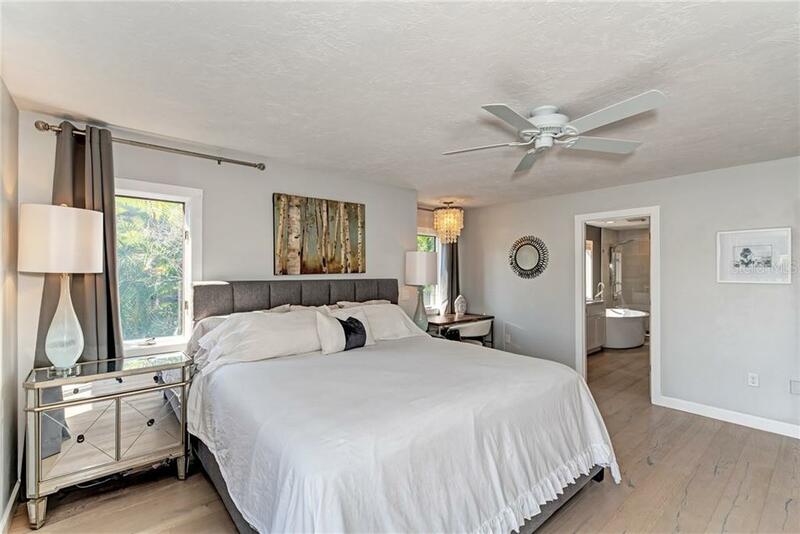 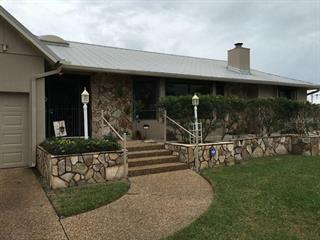 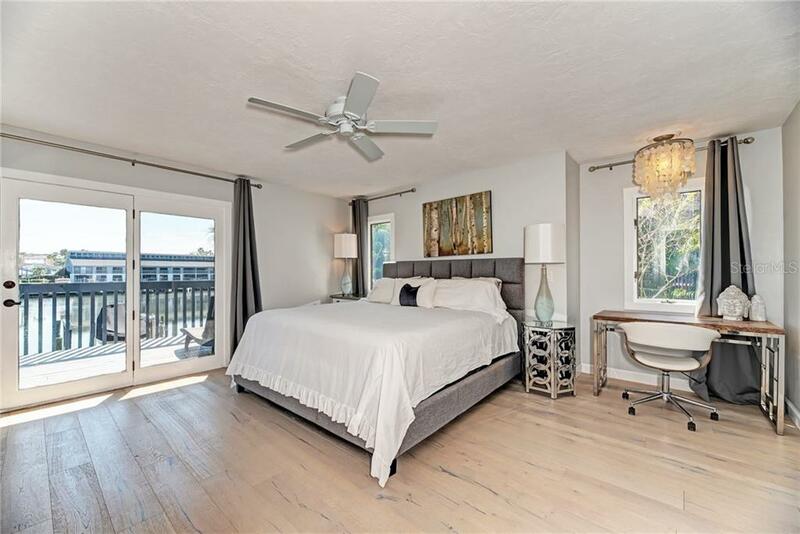 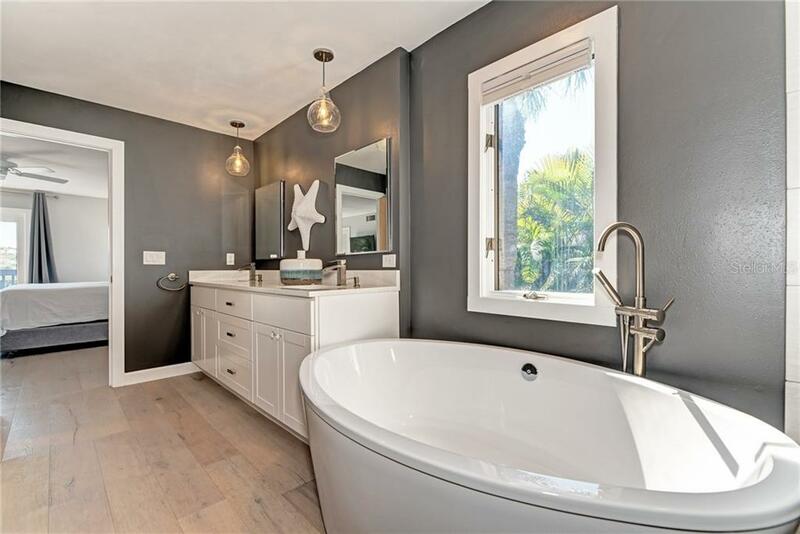 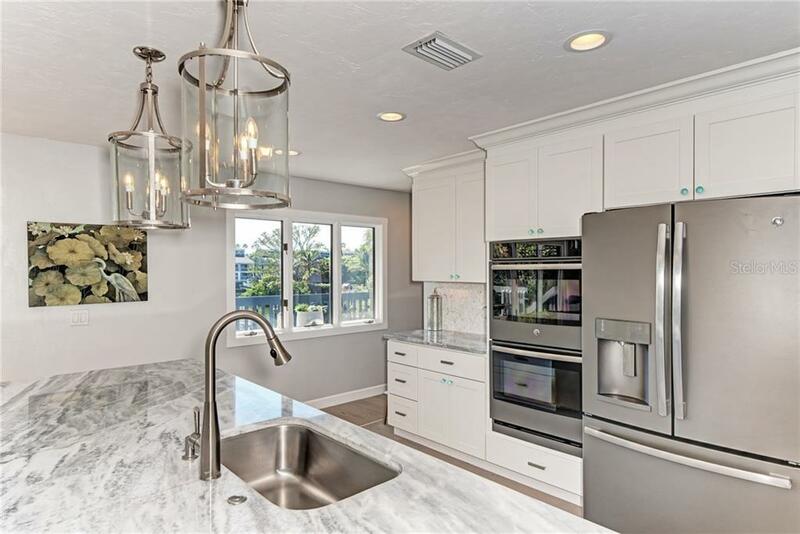 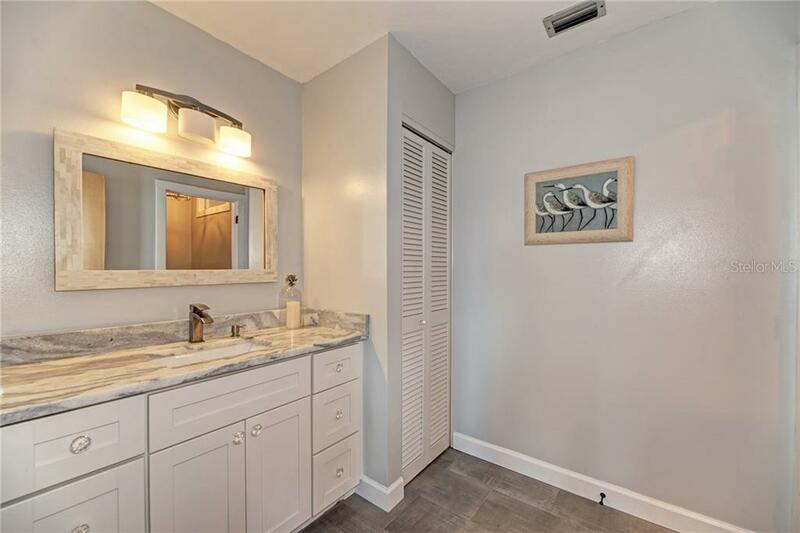 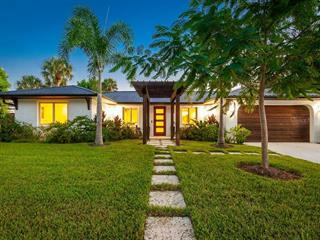 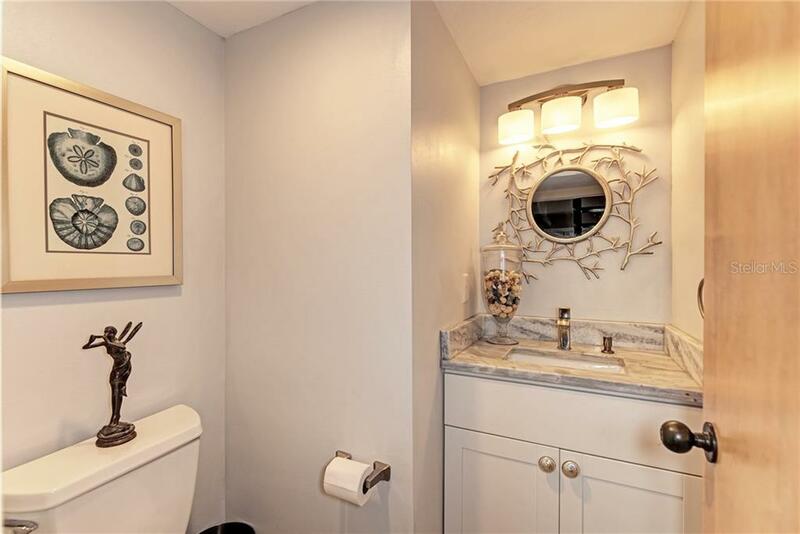 Fully renovated 3 level key west style home has 4 bedrooms and 4.5 bathrooms. 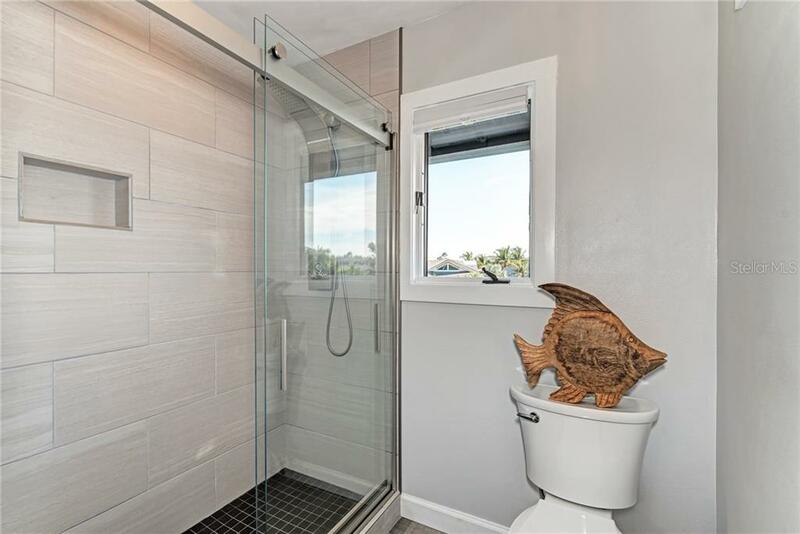 3 bedrooms with en-suites. 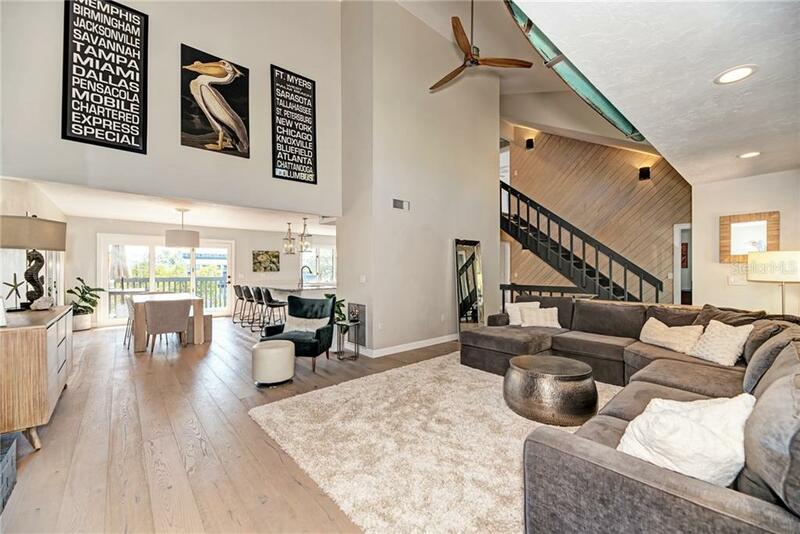 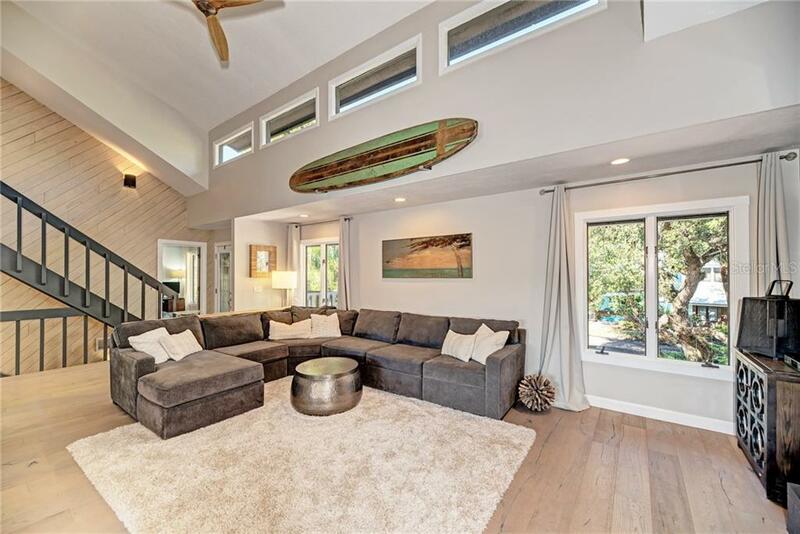 The second level main living area boasts an open floor plan and white oak flooring throughout. 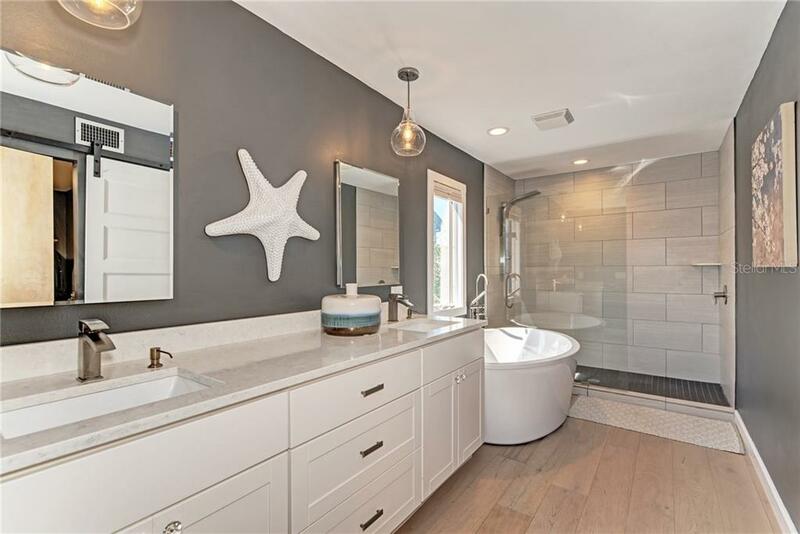 Here you will find the Master Suite with walk in closets and spectacular master bath, double vanity and a soaking tub. 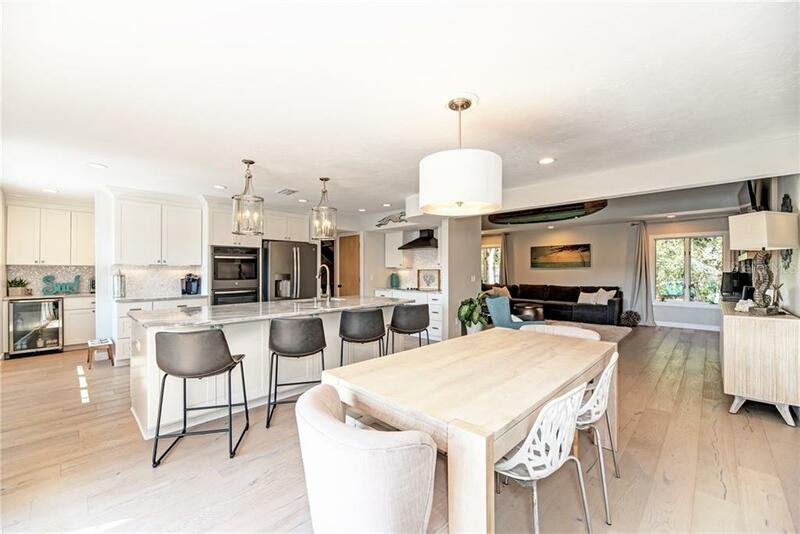 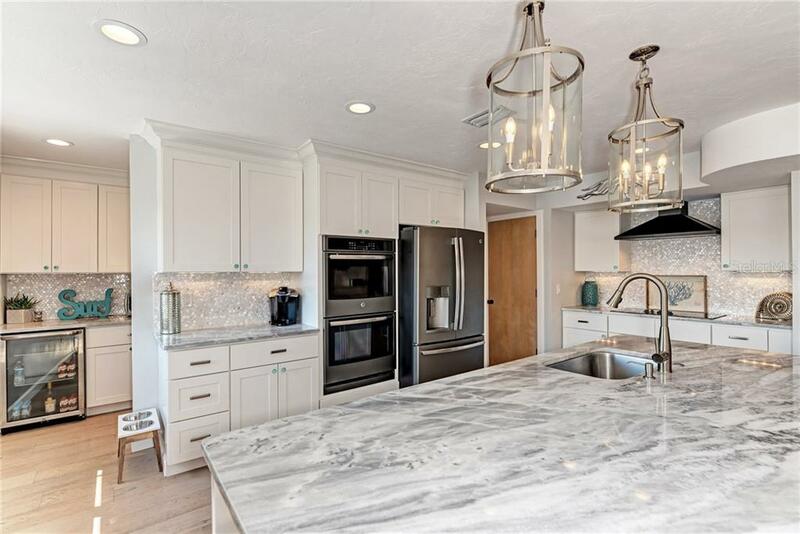 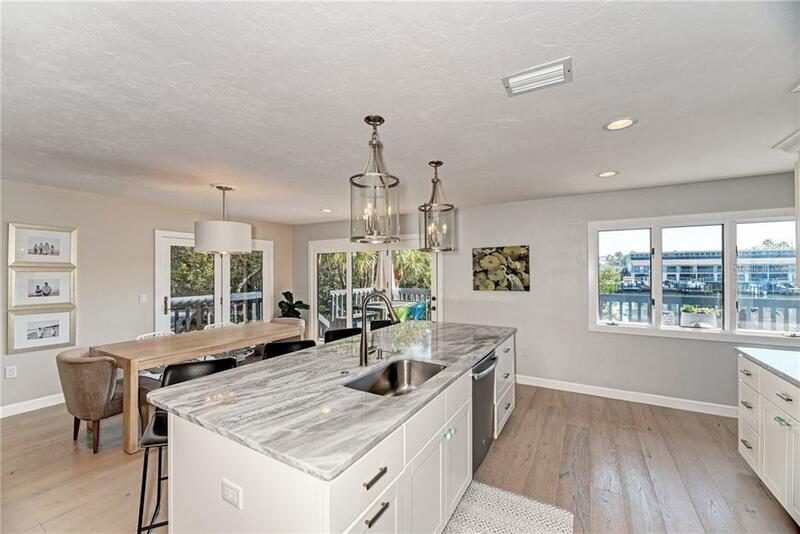 Also, on the 2nd level is the dining room, vaulted living room, additional bedroom, contemporary kitchen with 9 foot marble island, white cabinets, double oven, pantry and beverage refrigerator. 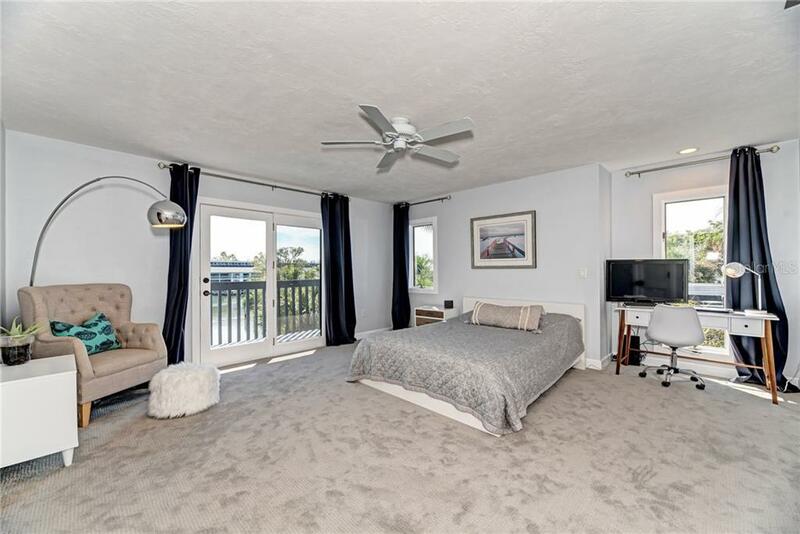 These rooms open directly onto the wraparound balcony overlooking the recently resurfaced heated pool and spa. 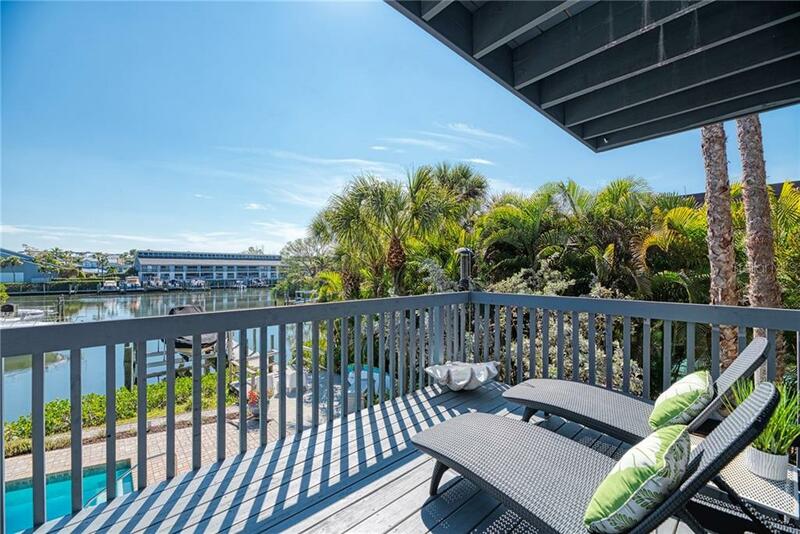 The third level has 2 large bedrooms suites, each having their own updated bathrooms and balconies with water views. 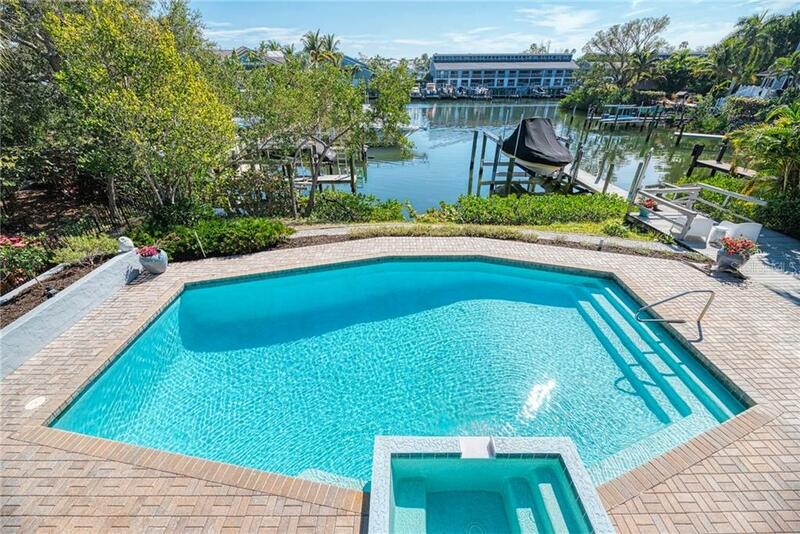 Lower level has separate entrance and opens to pool deck. 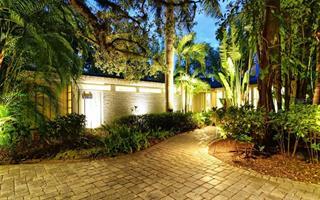 HOA fees include irrigation. 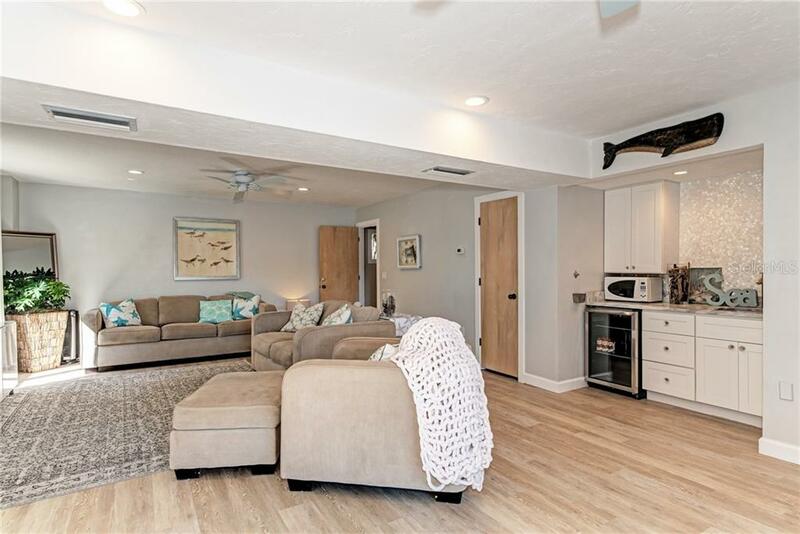 Just minutes to Siesta Key Village and beach.